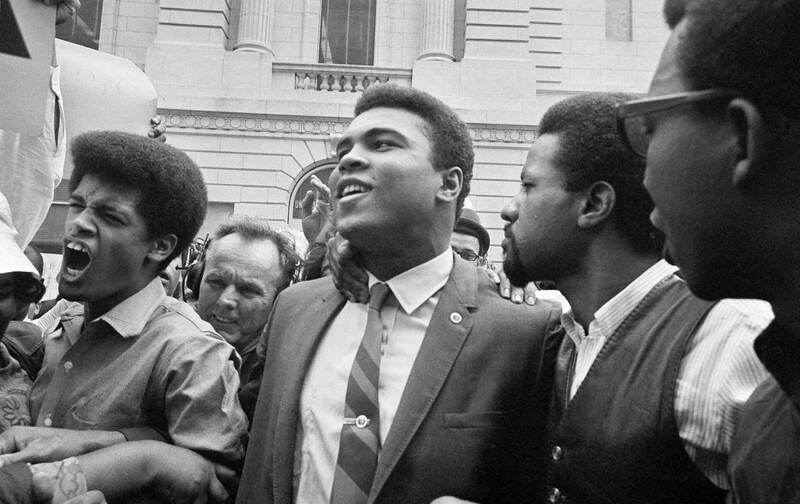 What if Muhammad Ali Had Received a Draft Deferment? Writer Mike Pesca stops by to talk about his new book about the greatest “what-ifs” in sports history. This week we speak to Mike Pesca from The Gist podcast about his new book, Upon Further Review: The Greatest What-Ifs In Sports History. This was a really fun conversation, and we talk about topics ranging from what if Muhammad Ali had received a draft deferment and Len Bias in a Celtics uniform, to the reaction of Peter Norman had he raised his fist alongside John Carlos and Tommie Smith at the 1968 Olympics. You gotta check this one out! Also we have Choice Words about Dawuane “D.J.” Smoot’s challenge to NFL leadership over its anthem policy. Our Just Stand Up and Just Sit Down awards go to the brave truth-tellers, Anne Kursinski and Susan Lomenzo Langer, equestrians who came forward to report their legendary coach Jimmy Williams of sexual abuse, and the top brass at the NFL. Our Kaepernick Watch contains news on his collusion case and we got a Patreon shoutout!